Some years ago I was chatting to someone at a conference about the work I had been doing on Mahāyoga texts in the Dunhuang collections. “But what,” he asked, “is Mahāyoga anyway?” Though the later Nyingma tradition has perfectly good answers to this question, I couldn’t give him a satisfactory answer about what it meant in early (pre-11th century) Tibet. 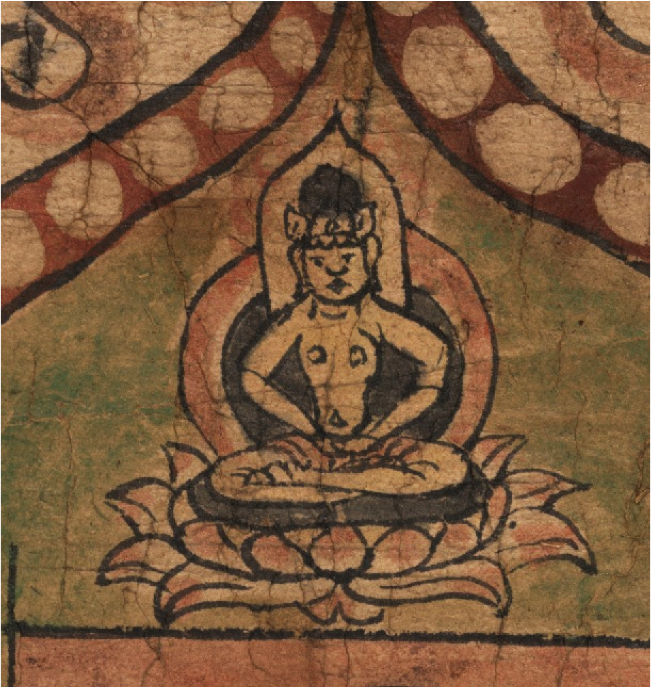 It would be good to know, because references to Mahāyoga often crop up in the Dunhuang manuscripts. Moreover, if the Testament of Ba is to be believed, when the Tibetan emperor Tri Song Detsen set up a massive Buddhist translation project in Tibet in the 9th century, he specifically banned Mahāyoga texts from being translated. In fact it turns out that the Tibetans, during their first exposure to tantric Buddhism, had also asked themselves what Mahāyoga stands for. I found the answer in a tatty manuscript containing a text called A Summary of the View of Mahāyoga According to Scripture. So I translated that text and wrote an article all about Mahāyoga in early Tibet, which was published in 2008. I’ve finally scanned the article, and it’s now on the Author page of this site, or you can just click here. I am very sad indeed to hear of the sudden and unexpected death of André Alexander. I had only recently finished working with him on an article based on one of his many conservation projects. Working with André was interesting, educational, and a lot of fun. Like many, many others, I will miss him. If you don’t know his work, please go on to read about his Tibet Heritage Fund here, and have a look at the introduction to his Temples of Lhasa here. Below I reproduce some words by Per Sørensen on André’s many achievements. It is with profound regret and in deepest sorrow that we announce the death of Dr Andre Alexander at the age of 47. Andre had just turned 47 this very week, and was full of enthusiasm and commitment. Over 10 years ago, he co-founded the successful, widely acclaimed and much respected Tibet Heritage Fund (THF) committed to the preservation and documentation of the unique Tibetan architectural monuments and heritage. The organization has launched a large number of rehabilitation projects throughout Central Asia intended to benefit and assist the local residents. His organization has been involved in assisting local communities in the wake of natural disasters, earthquakes (Yushu) and flashfloods (Ladakh and Sikkim), and initiated countless conservation and restoration projects of sanctuaries and monasteries in India, Tibet, China and Mongolia. His enthusiasm ensured that the THF won a steadily larger number of supporters who all shared Andre’s quest and vision of preserving the wonderful Tibetan architectural heritage. A number of still unpublished books now await publication. A large study on vernacular housing and architecture in Lhasa (originally submitted as doctoral thesis in Berlin), the second volume of the Tibet Heritage Fund’s conservation inventory is due to appear in 2012 with Serindia Publications and another large study on Tibetan imperial architecture was under way. We hope that this work too will soon be completed. Andre was a passionate and colourful person, totally committed to his vision of documenting and preserving, against all odds, the unique Tibetan architecture. He and his most dedicated friends at THF received numerous awards for their commitment: they twice received the UNESCO Asia-Pacific Heritage Awards and the Global Vision Award for a number of their cultural heritage projects, and they were featured on BBC’s series on Heritage Heroes 2011. Andre – You will be sorely missed. RIP.